Tyrese L. Coleman makes many interesting points along the way, but one key theme is how “Jane Eyre” has been ruined for her by Bronte’s depiction of Bertha Mason, whose craziness and evil is inextricably linked to her West Indian origins and implicit blackness.Bronte is vague on this point, but there is certainly room to read Bertha as of mixed race, a not uncommon thing to be in the Caribbean at that time. 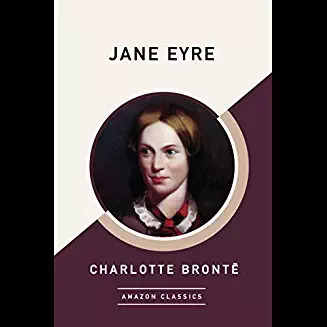 That Bronte makes the black Other the symbol of everything savage and animalistic, while Jane Eyre is the exemplar of rationality, moral uprightness and European whiteness. Ms. Coleman also talks about why she prefers Austen to Bronte — how Austen is more universal, in part because “the narrative tension is drawn in part from each protagonist’s personal shortcoming.” Which is something that never gets old. This made think of how Austen is singular in many ways, but one of them (as Woolf memorably points out in “A Room of One’s Own”) is how she never seems to be working out her personal issues on the page. It is hard to find the fingerprints of her own preoccupations in her stories of Elizabeth and Elinor and Fanny, though they can be just glimpsed if you look hard enough. My own theory is that her real problem was being born a genius in a place and time with no real use for brilliant women. As a well-connected if penniless clergyman’s daughter, her ability to manage her own temperament and conceal her awareness of her own superiority, her sense of being rooted in a clever, loving family and in a respected if not exactly distinguished social position — these things allowed her to live in the world without excessive suffering, to put up a polite facade and meanwhile make her amazing art. Charlotte Bronte, also a clergyman’s daughter but of a very different sort, was not so lucky. She was forever uneasy in the world, and you feel it. I was struck, recently rereading “Villette,” by how much time the first-person narrator Lucy Snowe spends trashing Catholics. She find the Church sinister and phony, its devotees conniving or stupid — yet she can’t seem to leave the topic alone! It struck me she must have been strangely attracted to this religion, even as she kept on talking about how awful it was. Similar, perhaps, to Jane Eyre’s feeling about Bertha Mason — all the sensuality and passionate longings she’s throttled in herself emerge in this loathing of the Other. For Charlotte Bronte was nothing if not passionate. But then I wonder, should it matter what they were like? Why is it so impossible to read without speculating about the writer? The book goes out into the world alone, like a balloon whose string you’ve let go. Yet reading this way is a temptation hard to avoid, and one I feel more keenly since writing a novel. What I have realized in writing fiction is the impossibility of not revealing some crucial thing about yourself, even if you resist being blatantly autobiographical. And what crucial thing is that exactly? It is not so simple as to be easily put into a few words; if you could, there would be no point in taking a whole novel to to do it. But as readers we feel in Austen’s ironic distance the compromises she has made to live in the world, in Bronte’s weird fixations on blackness and Catholicism the discomfort she feels in her own skin. And as readers we bring our own feelings about these things. Ms. Coleman, as a black woman, seems understandably horrified by Bronte’s view of blackness. As someone raised Catholic, I feel not so much personally offended by Bronte’s anti-papist tirades as startled. It’s really not all that exciting, Charlotte, I want to explain, but then realize she will just take me for another sinister Jesuit, trying to inveigle her into the faith. And then hope in the literary afterlife she gets a chance to meet up with James Joyce. Oh, the talks they could have. James Baldwin too, because that would be amazing. Interesting take on these questions. I didn’t read Bertha as mixed race, and I didn’t think “Wide Sargasso Sea” portrayed her as non-white. I should have looked a little deeper. Know exactly what you mean about people assuming your stories are autobiographical. If that was all we were writing, we wouldn’t be spending so much time on research!